George ran Harbottle & Smith Watches, Jewelry, & Music, located in 1857 at 105 W Genesee St. In 1898, George, his wife Sarah (1824-1902) and daughter Helen (1844-1922) are listed as residing at 39 William St. 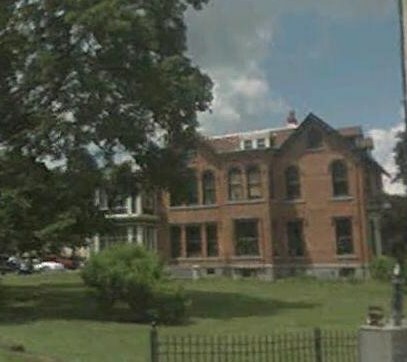 This house was purchased in 1910 by the Metcalf family, became H. G. Metcalf's home until his death in 1971, and still stands today. Harbottle's daughter Cornelia (1852-1939) married Edward H Thompson (1849 -1939), a partner with Knapp, Peck, and Thompson, publishers of the Auburn Daily Advertiser. Cornelia and Edward share the Harbottle cemetery lot, located in the Ridgeland section.